June has been an exciting month for HomeShare and we can’t wait to share our news with all of you who’s been on this journey with us! Along with establishing partnerships with brand new luxury buildings across markets, we’re thrilled to be featured by many nationwide publishers, such as TechCrunch and the Business Insider. The Homeshare team has been hustling day and night! Guided by our mission to save millennials from astronomical rent prices, and provide an amazing city lifestyle, we’ve moved in over 1,000 residents just within the last two years! Now with over 40 dedicated team members on board, our plan is to expand to 5 more cities by the end of the year, which means we have only 5 more to go. Check out HomeShare’s new buildings below, all unique and awesome on it’s on way! This building has all the fun in one place including a basketball court, golf simulator, swimming pool, hot tub, a private resident movie theater… and way too many fun things to name! The highlight is definitely the amazing 360 degree view of San Francisco on the 29th floor rooftop- say goodbye to $25 cocktails at a boring rooftop bar. This is THE place to be with your friends, sipping on wine while admiring the gorgeous San Francisco sunset. Still not impressed? The location is stellar- just minutes away from the headquarters of Uber, Twitter and Square, a short walk to Muni and Bart, and to the beautiful Hayes Valley neighborhood where you’ll will find yourself in an Instagram-worthy paradise. Foster City is known as one of America’s top towns to live well. Sitting right on the water, this newly completed luxury property gives you the feeling of a boutique hotel. It’s perfect for anyone that enjoys a laid back Sunday afternoon — because you won’t have take more than just a few steps to hop on a kayak, a boat, or go surfing and paddleboarding. 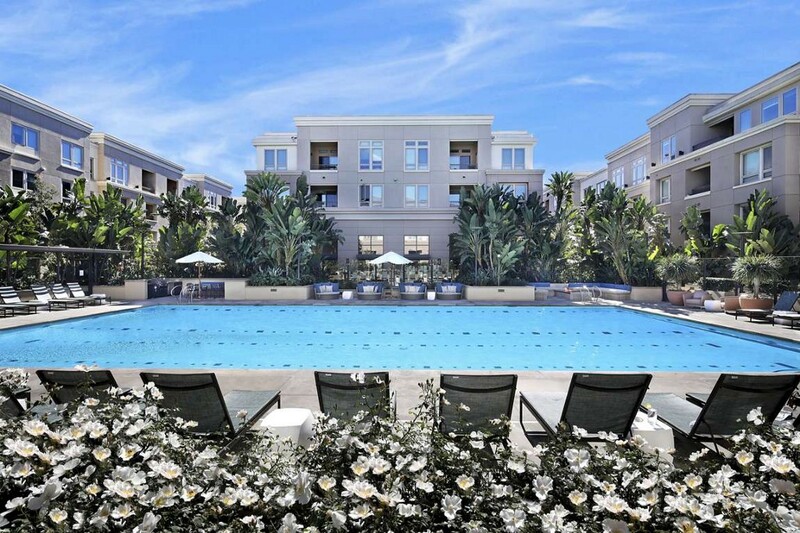 While living at your peaceful and safe home in peninsula, you will also have quick access to the Caltrain and Bart. All your shopping needs will be taken care of as a Costco is conveniently nearby. These properties are not too far away from each other, but each has their own charm. The South Lake Union location has fantastic views of Lake Union and the downtown Seattle skyline. It’s conveniently located, with just a 10–15 minutes walk from the Amazon headquarters, Whole Foods, and local yoga and cycling studios. This chic and classy building has a whiskey lounge, so get cozy with your friends after work in the speakeasy den or by the fireside chat area. Zig apartments, is conveniently located in downtown Seattle, right in the middle of the entertainment scene and recreation parks. Abundant greenery and green design create a Zen-like environment to make you feel at ease and refreshed when you are home. The rent for these buildings starts as low as $850, so HomeShare has something to offer for everyone! Please go check them out if you are curious about what others say about HomeShare!